Cable Internet providers are pretty big companies without a lot of competition, so they get away with a lot. Just this past month, South Park skewered Time Warner and other cable companies as eager sadists who take pleasure in limiting customer options, creating undesirable bundles, hindering competition and other assorted monopolistic crimes. Is it any wonder why cable companies routinely find themselves at the bottom of customer satisfaction surveys? Well, the cable giants aren’t going to fix themselves, so it’s up to congress to do the job. Earlier in the year, U.S. Sen. John McCain (R-AZ) filed a bill that would end the process of bundling channels – the business model that requires you to pay for 19 million different ESPN channels as part of your cable subscription, even if you hate sports. And just yesterday, U.S. 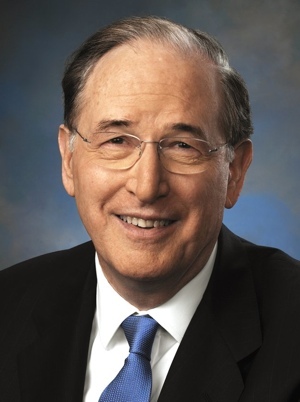 Senator Jay Rockefeller (D-WV) filed the Consumer Choice in Video Act, a bill designed to protect net neutrality. Rockefeller’s bill would prevent your ISP from limiting or slowing your access to content from another provider. Your cable company would also be required to be upfront about promotional pricing and offer you “a projected monthly bill for service once that promotional pricing period has ended.” There are a number of other pro-consumer aspects to the bill as well, such as a requirement for ISPs to accurately calculate data usage before they can charge you for it. Nothing in the bill seems too controversial unless you're running a cable company. Unfortunately, like with McCain’s bill before it, the prospects for Rockefeller’s Consumer Choice in Video Act do not appear to be stellar. Cable provider Comcast is one of the largest political contributors in the country, with Time Warner, Verizon, and AT&T close behind. None of these companies want net neutrality, and routinely push congressional efforts to kill it. And the pro-net neutrality side, while pro-consumer, lacks serious monied backing. It’s cynical as hell to say, but money indeed talks in Washington, D.C. If you'd like to learn more about Rockefeller's bill, Ars Technica has a pretty detailed primer.